Founded in 1917, Nikon is one of the best and biggest microscope manufacturers in the world. With a great deal of experience and innovation in the industry, Nikon has the widest line of microscope products in the United States, which has allowed the company to establish itself as a market leader. One of the biggest strengths of the company lies in its technological innovation and creativity. This has allowed Nikon to continue changing with time thereby producing products that meet the needs of the consumer. Through technological innovation and adaptability to the ever changing needs of the market, Nikon has also made its mark in the scientific community by contributing to some of the biggest scientific events in history particular in imaging technology. Today, Nikon is the leading producer of some of the best biological and industrial microscopes. Founded in the 19th century (1869) Leica has grown to become a leader in global design and production of the state of the art optical systems. Throughout its history, Leica has worked closely with the scientific, medical and industrial communities, which has contributed to its innovative culture, allowing the company to continually set new standards in the industry. One of the biggest strengths of Leica is that it is well known for quality. Since the 1800s, Leica has been producing large frame research microscopes with superior optics. In recent years, the company has been working on a new line of microscopes aimed at revolutionizing the industry. For instance, in 2016, Leica licensed SCAPE microscopy for Life Science applications. This technique allows for fast 3D imaging of living samples with a sheet of light. These innovative steps are aimed at producing highly versatile research microscopes for a wide range of uses and documentation techniques. Leica also prides itself on ergonomics in order to adapt to the requirements of the user. This has allowed the company to customize their products for specific viewing needs of users. A good example of this is the Leica M50, which replicates sample analysis and documentation and allows the user to configure the microscope on the basis of application needs and the Leica M60, which comes with a large range of accessories, provides a 20 percent increase in viewing area as well as a mountable focus arm for saving space. Leica EZ4 W (a stereo educational microscope) - This particular microscope allows users to transfer HB images directly to their mobile devices. The Leica MZ16 - Despite being a stereo microscope, this model comes with the apochromatic objective lens and provides a magnification range that extends further in to the capacity of a compound light microscope with ample working distances. Top-level operational convenience and error-free analysis of image material. Adaptability (depending on the needs of the user). All its product series are ergonomic. With regards to stereo microscopes, users have the freedom to optimize their microscopes according to their work style. Apart from being the oldest microscope manufacturer, Zeiss is also the largest producer of optical equipment in the world. Since its foundation, Zeiss has played an important role in the industry being at the forefront of both design and manufacturing. 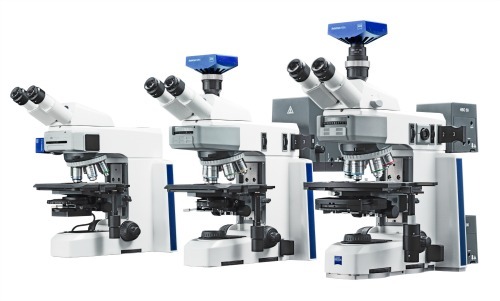 Like some of the other leading manufacturers, Zeiss also has an innovative culture that has allowed it to produce some of the best microscopes in the market including some of the best surgery microscopes in the world. When it comes to service and microscope parts, Zeiss has been shown to be the best in the industry. In 2011, the company (in UK) won "BEVY of Best Factory and Manufacturing Excellence Awards". These awards included, among others, recognition for best electronics and electrical plant as well as health and safety, which shows that the company is committed to quality. Zeiss has a big reputation as an innovative company, which is no surprise considering that it is the best manufacturer of surgery microscopes. A good example of the company's innovative culture is the Axioscope. A1. From the Axioscope line of products; this microscope is unique and different from many other microscopes in the market. The microscope comes with a number of features that are meant to ensure a great viewing experience and maximum comfort for the user. Apart from well positioned controls that just slip in to the hands, the microscope comes with a pyramidal frame that helps reduce vibrations during use. 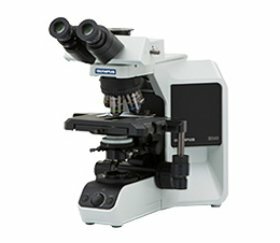 With such outstanding features included for every technique, this line of microscopes has been shown to be the best choice for high end research in bio-medical sciences. Olympus has been producing microscopes since the 1920s, and though it may not have a long history as some of the other companies in the market, it has definitely made significant contributions to microscopy. Today, Olympus microscopes are high quality, world renowned instruments. This can be attributed to the fact that Olympus is focused on technological advancements and the desire to meet the ever changing needs of the market. Today, Olympus is known for high performance and ergonomics of its microscopes. Over the years, the company has strived to produce a wide range of microscopes to meet the needs of students, hobbyists and professionals. 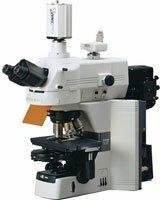 These microscopes are available in a variety of sizes, versatility and magnifying strengths depending on the needs of the user. Although the company has been developing new models and advanced products, it has also been working to improve some of their basic designs by incorporating special, improved features to enhance their performance. For instance, by incorporating the Universal Infinity System optical system in their microscopes, Olympus has been able to produce ideal microscopes with better contrast and resolution as well as an expanded field of view. The company continues to improve various features in these microscopes in order to meet the needs of the market. For a company that has been in the industry for about 46 years, Omax been able to establish itself very well as one of the leading microscope manufacturers today. Over the years, the company has produced a wide range of products aimed at professionals and students. Like many of the leading manufacturers, Omax has been very innovative which has allowed it to develop a variety of products and software with the aim of building a connected learning environment. With this innovative culture, Omax has succeeded in developing a wide range of products, microscopes and accessories that have caught the attention of professionals and students. 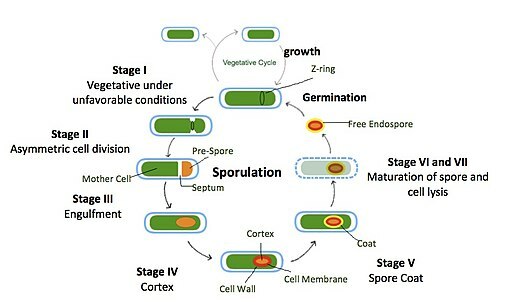 For students in particular, these products have generated significant interests in microscopy given that they allow for sharing and active participation. A good example of these features includes cameras, software and LED screens. 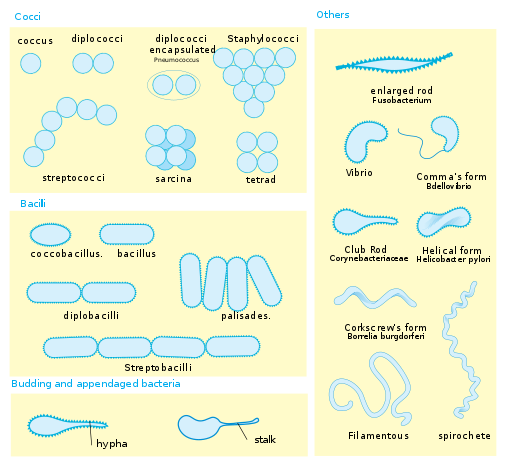 These features allow for image editing and sharing of the microscope in a group for observations and analysis. Omax is built on the philosophy that technology can help improve education. Based on this philosophy, the company continues to be innovative in order to enhance the learning experience of students and ensure that no student misses out. This is also the case with more professional products that the company has been producing. 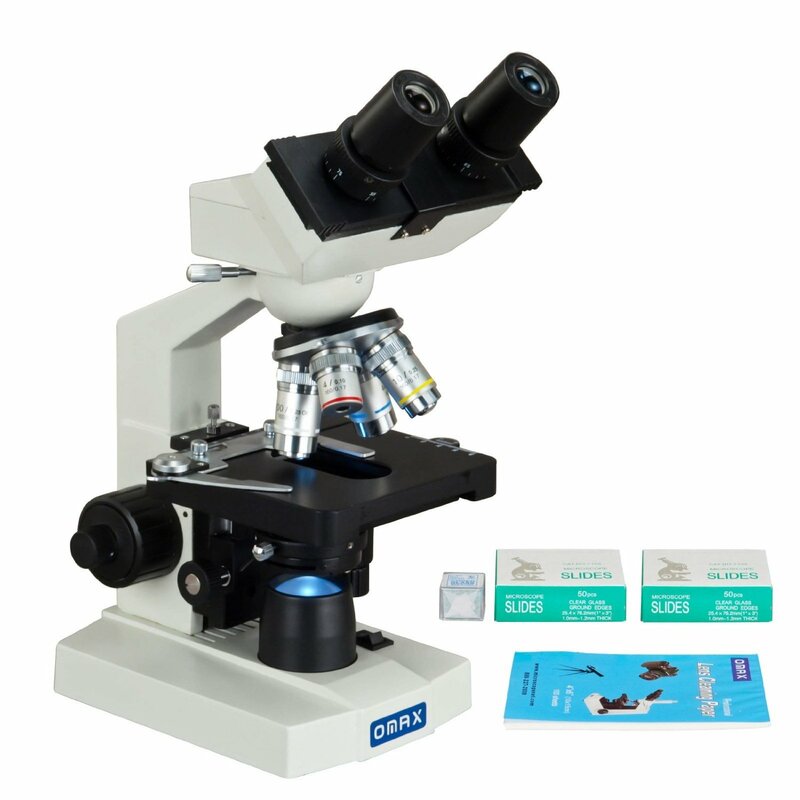 The Omax 40X-400X Kids Monocular Compound Microscope that kids can use without assistance or any specialized knowledge. Despite being relatively young in the industry, Omax continues to produce a wide range of microscopes and accessories that are not only aimed at ensuring increased functionalities, but also ease of use. 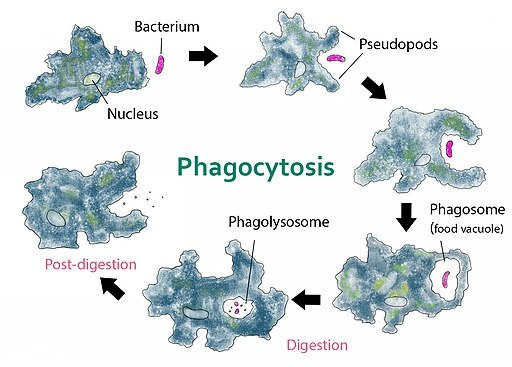 This has made it easier for students to learn about microscopy, share and become more engaged. Amscope is one of the biggest competitors to Omax. 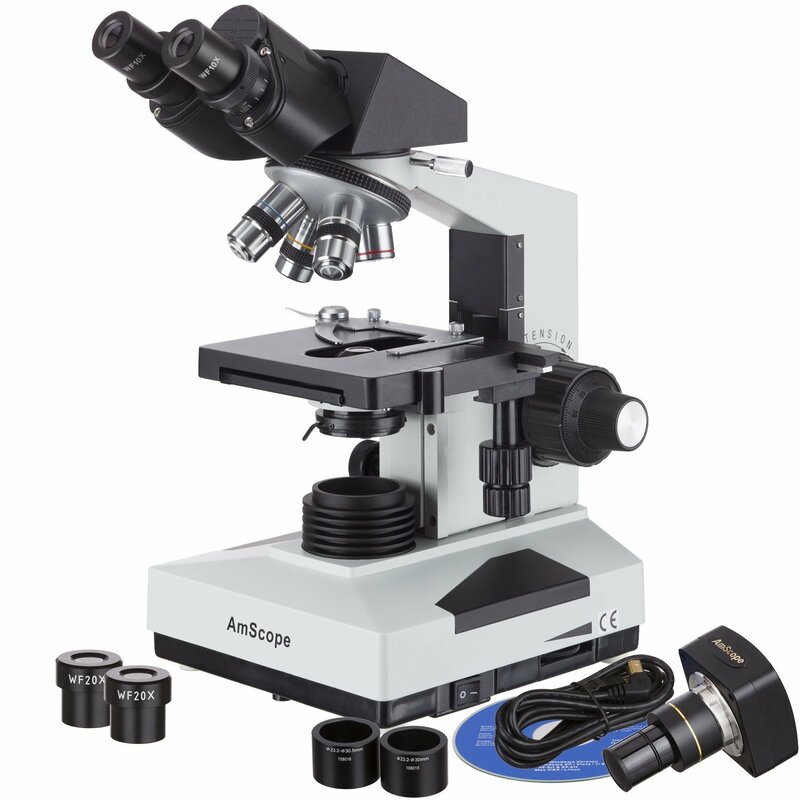 Despite having an even shorter history in the microscope industry, Amscope has indeed made its mark in the industry with a wide range of high quality products at low prices. Amscope's main mission is to promote interests in the advancement of science by manufacturing high quality microscopes that available to all customers despite their economic background. Amscope designs, manufactures and distributes their own microscopes and accessories. This has allowed the company to determine the needs of the market and improve their products to meet these needs at lower prices. Amscope manufactures a wide range of microscopes for both professional and amateur users. This means that the company has a microscope for everyone from kids to professionals in such fields as bio-medical research. One of the biggest strengths lies in its close relationship with its customers. This has allowed Amscope to understand the needs of the market and work towards improving their line of products. This allows the company to create a relationship with the market, which helps direct future innovations and directions. With a wide range of high quality products and accessories and an innovative culture, Amscope is expected to continue producing a wide range of high quality microscopes and accessories in the coming years.